Port Elizabeth pastor Alain Waljee strongly believes that by following biblical principles, Christians can live in victory — a theme he explores in his new book Living in Victory. The book begins by looking at where many Christians currently stand – frustrated because their respective realities don’t seem to be consistent with the promises of the Word of God – and goes on to show them the way to victorious living, according to a press release by the publicists. presence of God inside of us individually, and in our homes and families,” says Waljee. 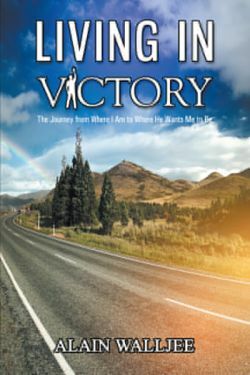 Living in Victory: The Journey from Where I Am to Where He Wants Me to Be doesn’t promise a quick-fix solution, nor does it offer false expectation of instant change. It does present a biblical view of transformation in the life of the Christian from a place of frustration to living in victory, says the press release.